This week's author interview is perfect for lovers of historical fiction - please join me in welcoming writer Amy Alston to TheWriting Greyhound! Read on to find out all about her writing, her inspiration, and her novel The Soul's Expression. Hi Amy! Would you please introduce yourself? Hi! I’m Amy Alston, and I’m an author, freelance writer and teacher from East Anglia in England. For as long as I can remember, I’ve loved to create stories; most of them were sort of mini-plays that I’d act out in my head. It wasn’t until I was at university, and took a class in playwriting as part of my drama and literature degree, that I started to consider writing as a serious possibility. After graduating, I started freelance writing as a means to earn a bit of extra cash and discovered that I really enjoyed it. Tell me about The Soul’s Expression. 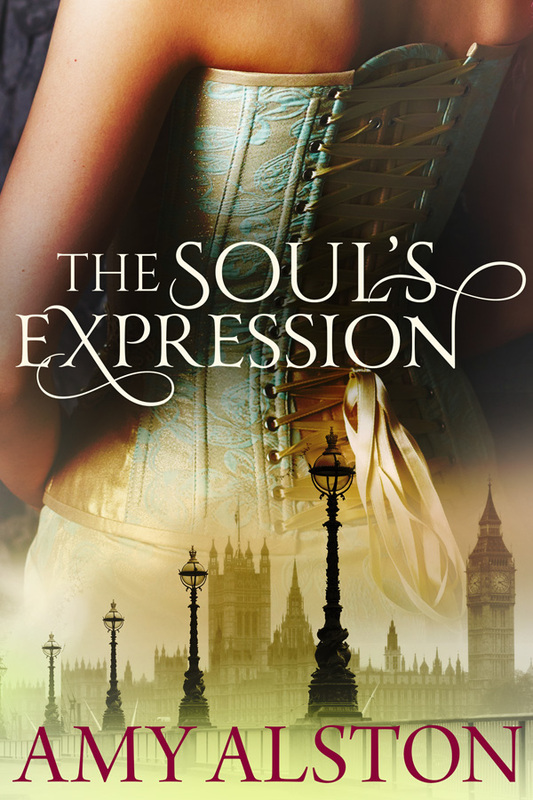 The Soul’s Expression is, on the face of it, a historical romance, but not your average one. It doesn’t play to many of the tropes found in the genre so it could be seen as a bit subversive in that sense. Set in late Victorian era London, it follows the story of Katherine Forester, a young wife who is sent to a Harley Street doctor to be cured of “hysteria”. It’s brutally honest about realities for women in the late 19th century, but also heart-warming. It’s a story of self-discovery, female solidarity in the face of male aggression, and a fight for self-sovereignty. Ultimately, it is about how love and light can heal the most profound of wounds. Why did you decide to write about the past? History has always been a huge interest of mine. Every era feeds my imagination. But I am also interested in demonstrating that the important things do not change with the passage of time: human passions, motivations, frailties, and ugliness. What drew you to writing about this particular era of history? I was drawn to the Victorian period because I wanted to write about “female hysteria” and the fact that, for a sizeable chunk of history, women not only had no agency, but were also treated as though they were unstable and, essentially, insanity timebombs, liable to explode at any moment. I found that a terrifying notion. Yes and no. I found much of it almost poured out of me, which is a wonderful feeling for any writer. But I wanted to ensure I was doing the subject justice and treating it with respect. That was the trickier part. It came from a number of places. I’ve been morbidly captivated by the subject ever since I read The Yellow Wallpaper. The life of Sabina Spielrein (although a little later than the novel is set) was also an influence. It varies from project to project. With this book, I was fortunate. The idea came almost fully-formed and, as I mentioned, it flowed pretty smoothly. The editing was the harder part. I’ve been a lover of Shakespeare since I was about thirteen and you can’t find a better masterclass in characterisation. I also always find inspiration from the classics, like Jane Austen and the Bronte sisters. Among my contemporary favourites are Hilary Mantel, Margaret Atwood and Lionel Shriver. I’ve got a handful of works in progress because I can’t settle on one. A contemporary romantic suspense, about a forensic psychologist; a chick-lit comedy, about a woman who’s dumped by her fiancé and decides to find a replacement rather than call off the wedding; and a dark comedy with a Sliding Doors-style parallel timeline, about a woman who decides on an unconventional method of suicide. The Post-Birthday World by Lionel Shriver and The Miniaturist by Jessie Burton. There are so many I love, but I suppose your childhood favourites always linger. So, I’d have to say The Witches by Roald Dahl. Theatre, music, photography, cycling, walking and geeking out at places of historical interest. The Soul's Expression is available to buy now.